New guests are arriving for their holiday and I feel the pressure to find new wines to serve them while they are with us at our bed and breakfast. Lucky for me, I have friends in the trade that invite me to some very unique wine tastings. Within a week’s time, I enjoyed two such special tastings. The first was billed as a ‘Trunk Show Tasting’ of wines by Heidi Berrett at the Embargo restaurant in Hyannis. As I learned, Heidi has an impressive resume, making wines for some of the Napa Valley’s super premium cult wines. 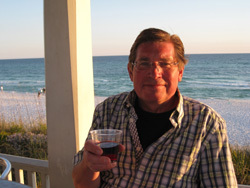 Her works include perfect 100-point wines for Screaming Eagle in 1992 and 1997. I was excited to taste her latest project, Amuse Bouche. This is a big Napa Valley Merlot/Cabernet Franc blend created in a Pomerol-style to rival Chateau Petrus and Chateau Le Pin. These two first growth French wines often are almost untouchable with prices as, on release, they are in the thousands of dollars. I found the 2008 Petrus on-line for $2,799 and the 1982 for just over $9,000. It is not surprising that I have never tasted these wines, so I cannot honestly compare them to the 2009 Amuse Bouche I tasted. The 2009 may have been the best Merlot I have ever had and, at over $200 a bottle, may also be the most expensive. Another unique attribute of this wine is that a famous artist creates each vintage’s label. When the 2010 is released it will have a label by the late actor Toni Curtis. Only 575 case of the wine have been made, but each lucky person on the limited allocation list will also receive a lithograph of Cocktails for Two, numbered and signed by Curtis. I am sure the release price will also be reflective of the great wine and unique art the buyer will receive. I am sorry that I am not on the list. Some of us may have recognized the Berrett name from the famous 1976 Paris tasting when two California wines beat the best of the French wines in a blind tasting. 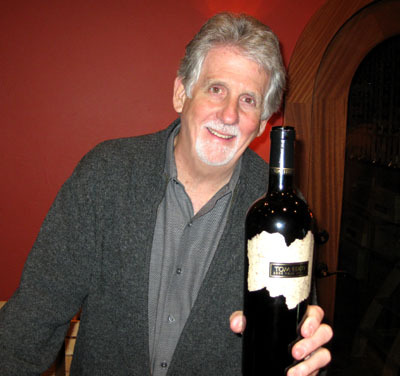 Jim Berrett made the winning Chateau Montelena Chardonnay, and is the father of Heidi’s husband Bo Berrett. Although the Embargo tasting was fun, a week later I had an even better experience at Cellar 55 where we tasted wines from Tom Eddy Wines. The key was that we tasted the wines with Tom Eddy himself, the owner and winemaker at Tom Eddy Wines. We leisurely tasted five of his wines over two hours that just flew by as Tom told how he made his wines, but also told stories of his almost 40 years in Napa Valley. I liked his 2009 Elodian Pinot Noir the best and now proudly display a bottle signed by Tom in my cellar. Tom’s stories included how he did not get one of the first jobs that he applied for in 1974 with Warren Winiarski at Stag’s Leap Wine Cellars. Winiarski’s 1973 Cabernet Sauvignon was the red wine that beat the French wines at the afore mentioned 1976 Pairs tasting. We encouraged Tom to write a book to capture these great memories and share with us. He personally knows, and is one of, the great California wine makers that have made California the world leader in wine that it is today. What a week, tasting some of the most expensive wines I have ever tasted and then personally meeting and sharing wine with one of today’s wine maker legends. Stay with us at our Sandwich Inn and I might just share some this wine with you.